Tribes are beginning to identify potential climate change impacts on their cultural and environmental resources and to develop climate change adaptation plans. 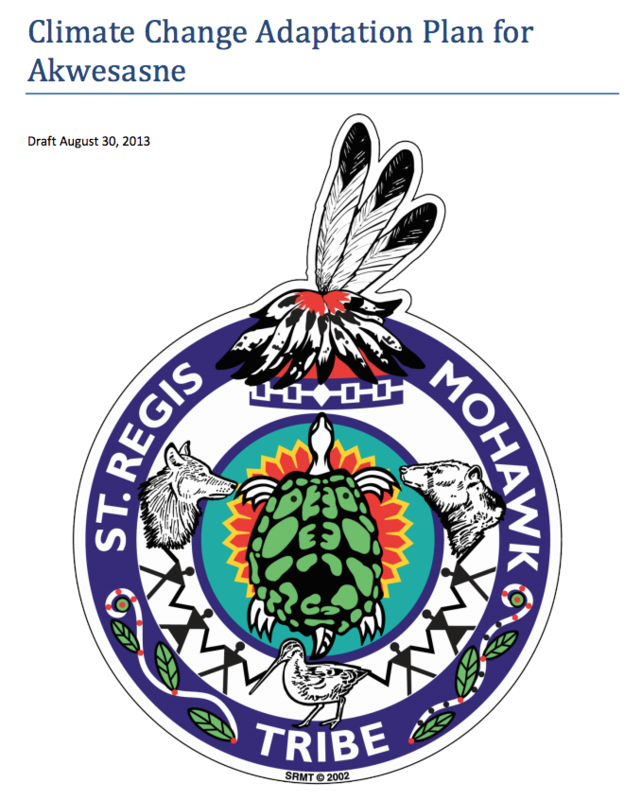 The Saint Regis Mohawk Tribe, located in New York and Canada, is in the early stages of adaptation planning. The Tribe is bringing together the Haudenosaunee decisions makers from the Tuscarora Nation, Seneca Nation, Tonawanda Nation, Onondaga Nation, Cayuga Nation, and Oneida Nation in New York as well as the Mohawk Nation and Shinnecock Nation to identify priority resources that should be considered in addressing climate change. The goal of the Haudenosaunee and other Tribes is to combine knowledge of traditional cultural resource values with local knowledge of recent climate changes. The ultimate goal of this unique strategy is to bring together Tribal decision makers to share information that will lead to practical planning.